It's a wonder Bondi hasn't yet seceded from Sydney by building a giant wall. People here get twitchy when they're not with their own kind. It's why the most successful restaurants are driven by Bondi locals, entrenched in the local culture. Michael McCann's Dreamtime Australia Design has stamped Bondi over everything, from the street-front coffee window to the floating fireplace, snug booths, cushion-strewn banquettes and whitewashed central bar. Street-side windows open to light, air and the inevitable parade of barefoot surfers heading for the waves. Even our waiter, local identity Luke Mussett, is one of Bondi's most elegant surfers in his spare time. 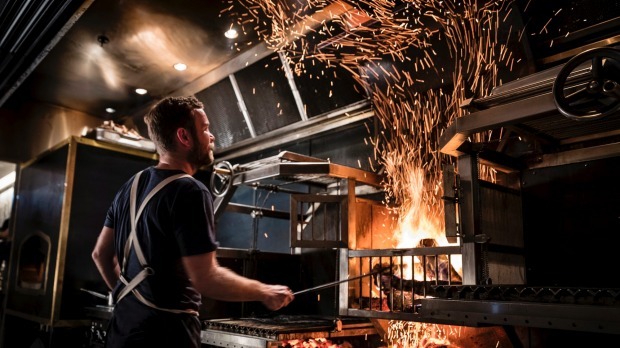 Cameron brings with him an easy understanding of wild and native ingredients, which he marries well – and not gratuitously – with Bondi's twin streams of comfort food and wellness. 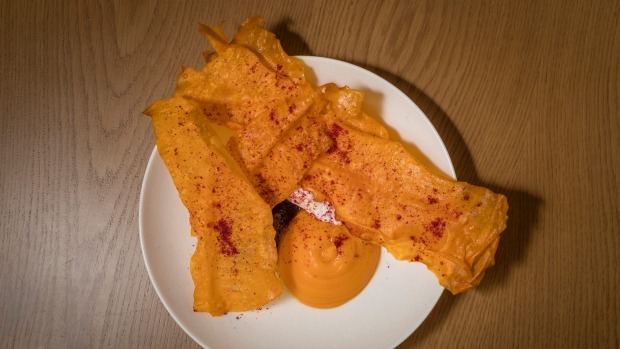 So there's a vegan take on 2018s "dips 'n chip" ($12) that sings clear and true – a puddle of smooth sweet potato puree and a quenelle of quite delicious macadamia cheese offset by a tart Davidson plum relish, to scoop up with paper-thin sweet potato crisps. 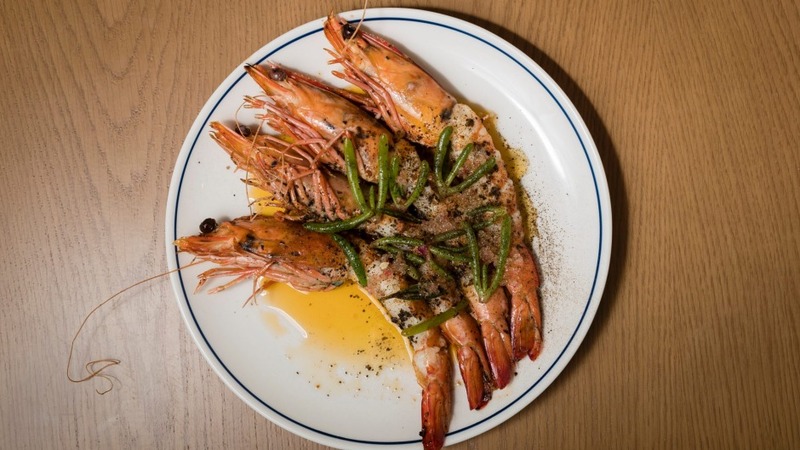 And seafood, of course, like a pile of whole Yamba grilled prawns ($24), bathed in kelp butter and draped with sea lettuce. 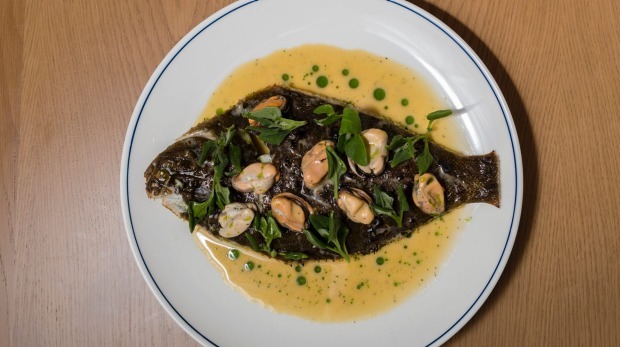 And whole fish, like a visually pleasing grilled flounder ($40) that's dusted with dried kelp and scattered with good, fleshy, house-pickled mussels, warrigal greens and aniseed myrtle. 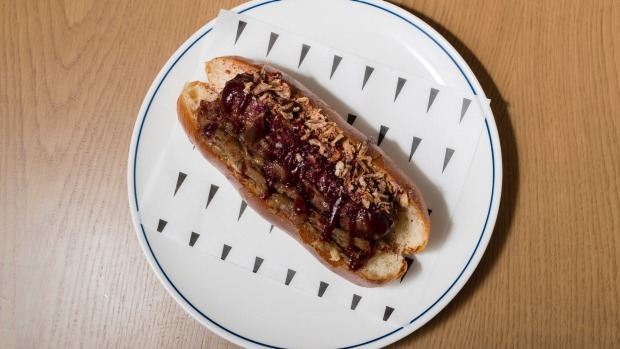 Kangaroo pops up as a loin with quandong and toasted rice ($34), as cured floss strewn over a wood-fired wedge of pumpkin ($18), and as a lunchtime "kanga banga" ($14); a satisfyingly savoury skippy sausage tucked into a brioche roll with plenty of fried onion and native plum ($14). Bondi, you have a new hangover cure. And while the kitchen is good on sauces – universally smooth, light, glossy – I'd suggest not everything needs one. Bondi hasn't seen anything like this for a while – the high-detail yet relaxed fit-out, the financial commitment, the perceptive service, the polished food that runs breakfast, lunch and dinner. It's noisy, warm, sunny and not so cool for school that even a foreigner – from the other side of the wall – would feel welcome.